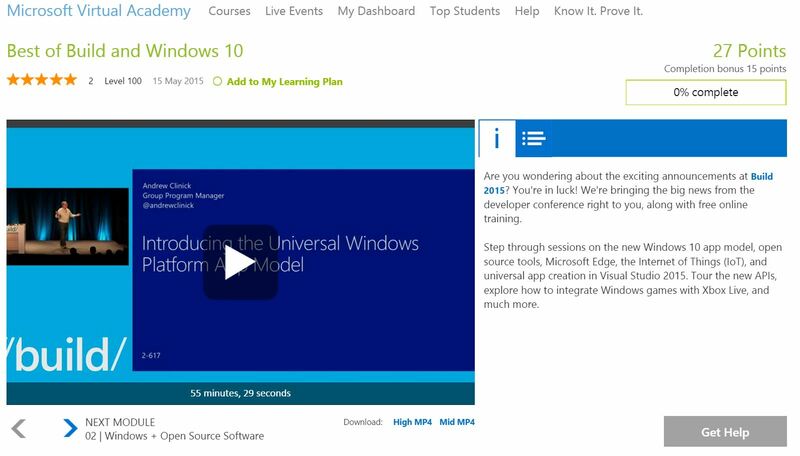 There are two new pieces of content on Microsoft Virtual Academy that I want to highlght, considering the //build tour we are doing at the moment. I’m just wrapping up the first day of the tour in New York City, and we’re headed to Atlanta next. One way to get caught up on all of this content is to watch the videos we recorded from the main event in San Francisco a few weeks back. There are dozens to sift through, but the MVA team has made it easy and built a “Best of Build and Windows 10” playlist. If you want to keep track of what we’re doing on the tour, you can find a list of events here. I’ve also posted my slides from my talks on the Windows 10 UWP + Xaml Improvements, Windows 10 Design Features and Cortana Integration on SlideShare as well.